A great addition to my seashell collection. Not sure how big this bad boy is? I threw in a quarter for scale. 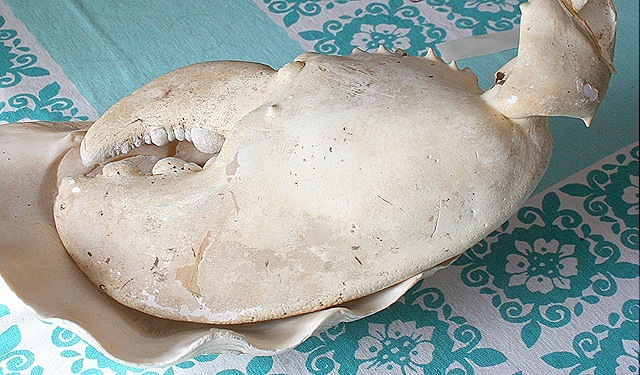 I don’t, but I do have a horseshoe crab that I picked up in Connecticut quite a few years ago. I’d love to have both though. Oh my. No, I don’t have one of those! How nifty! My kids have a saying, “You never know what you’ll find in Mom’s purse… or cupboard… or car.” I have a mammoth tooth in the cupboard next to the Jello and pudding boxes. 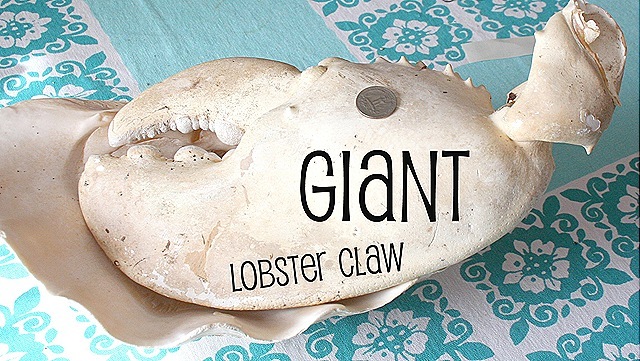 Don’t have a giant lobster claw though!